Chemical products are a necessary staple of the automotive industry. Until now, many of these products have been exceptionally corrosive, harmful to the environment, and harmful to the professionals who use them. 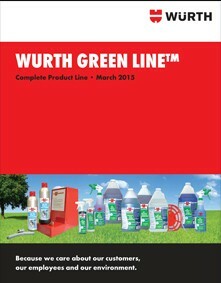 Würth is working to fight this predicament with a complete line of environmentally responsible chemical products that are less harmful and yet just as effective.